It’s no secret that today, many people are deciding to drop their traditional telephone lines for newer, more robust services offered through cellular or Internet providers like Click Broadband for example. But, do these newer telecommunication technologies work with home alarm systems? In short, yes, new communication technologies can work with home alarm systems. However, each service has trade-offs. You may find that your neighbour may be able to get signal perfectly in their home, but you are having difficulty in getting just one bar. No matter what network provider is on, a cell signal booster will fix this problem and improve the signal in your home. Before you pull the plug on your current phone system, check out these frequently asked questions about alarm systems and phone lines from consumers like you. I’m thinking about changing my phone service. What should I do? The first thing you should do is contact your alarm company. Talk to your company about the impending switch and discuss communication technologies that are compatible with your alarm system. After you select a new phone service, make another call to your alarm company to ensure the new service is working properly with your alarm. What communications technologies are available for use with alarm systems? Thanks to advances in technology, alarm systems are designed to work with many different types of communication services. The most popular services include traditional phone lines, cellular radio, VoIP and Internet. Let’s explore each service a little deeper by looking at the pros and cons. Traditional phone lines use a copper line to send the communication signal to the alarm monitoring company. The phone line is typically used by both the household and the alarm system. Traditional phone lines are known as the most reliable of the services. Monitoring service connected by a traditional phone line can operate during power outages via power from the phone company. 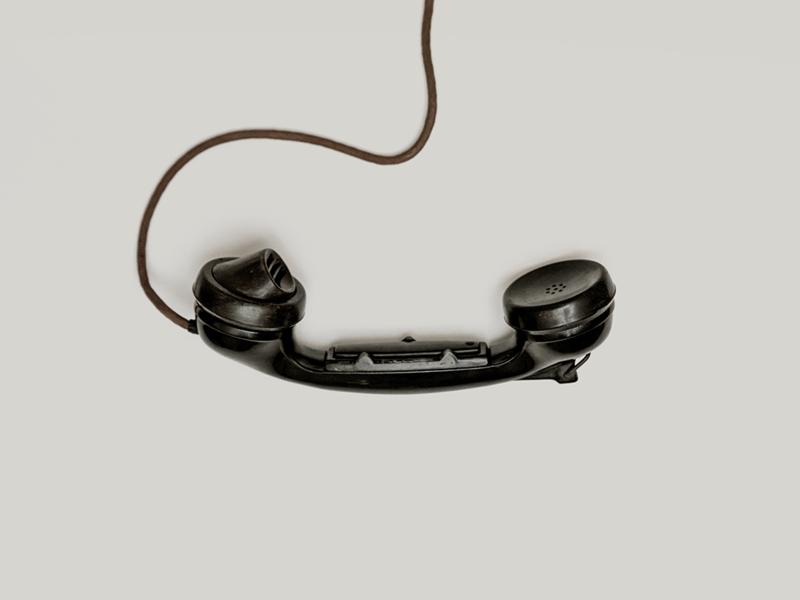 Traditional phone lines utilize copper lines, which are vulnerable to both natural and deliberate outages. Since traditional phone lines depend on dial up, the connection is slower than other services. Cellular radio signals use wireless digital transmission, just like your cell phone, to transmit alarm signals to the monitoring station. In comparison to other phone services, cellular radio can carry more data at greater speeds. Since the connection is wireless, cellular radio is generally tamper-proof, so deliberate outages are rare. Cellular radio devices require power at home to operate. During a power outage, the alarm relies on a back up battery for operation. Back up batteries generally last between 2-4 hours. VoIP (Voice over Internet Protocol) is a newer communication service that takes analog audio signals, like what you hear when you talk on the phone, and turns them into digital data that can be transmitted over the Internet. Most traditional home alarm panels can connect to a VoIP phone system without upgrading any of the panel’s hardware. VoIP is often more affordable and feature-rich than other phone services. Some VoIP providers use voice compression to reduce the amount of bandwidth needed to transport the voice traffic, which can cause distortion of the signal coming from the home’s alarm system, effectively disabling the remote monitoring of the system. Choose a provider that utilizes a managed facility voice network (MFVN). MFVN does not use voice compression and is the most compatible with alarm systems. When using a VoIP system, power to the phone line is dependent upon power at home. Depending on your provider, you may lose phone service if the Internet or power is out. The Internet offers some of the greatest features for alarm users by connecting your alarm to the monitoring station via DSL, cable or wireless Internet connections. Internet services are feature rich—you can access cameras, entry systems, lighting, thermostats and a number of other devices in the home from any web browser. An alarms connected by an Internet service is always on and connected to the central station. The Internet lacks reliability for security applications as it also requires power and Internet connectivity at the home to operate. Alarm systems monitored via Internet require specific hardware to enable the connection, so an upgraded panel will be necessary. Many Internet providers use throttling during peak hours to allow for adequate usage for all of their customers. Throttling can cause unpredictable problems with alarm signals. Ultimately, traditional phone lines still offer the most reliable service for alarm communications but it lacks the speed and features of newer technologies. Cellular and VoIP can offer nearly the same level of reliability as traditional phone lines if battery units are well-maintained at your home. Internet, while it offers the most feature rich design, is the most unreliable communication method and should only be used as a means for supplemental communications and features, not as the sole alarm communication method. For the most reliable and secure alarm communication system, consider combining two services in one unit. You can use a traditional phone line or VoIP as the primary method of communication and cellular radio as secondary communication. In the event that the primary communication goes down, the system will still communicate with the alarm monitoring station through the cellular radio. Are these the only communication technologies available? No, there are a few other communication services on the market such as wireless mesh-radio and analog radio devices. Wireless mesh-radio technology is a new technology among alarm dealers. This type of service creates a redundant network of devices that produce a highly reliable connection to the central station. Each installed device acts as a node in the network. When one node goes down due to a power loss or other factor, devices still have connectivity to the network through the other nodes that are installed. In areas where mesh-radio is available, the system can be as reliable as traditional phone lines. Also, since the network is owned and operated by the alarm company, there is no additional equipment or services to purchase from telecommunication providers. Analog radio devices, which are similar to a CB radio, offer customers in rural areas and excellent alternative to digital cellular radio if coverage for the digital signal is spotty. These systems usually require the installation of an antenna on the roof of the home. What should I do to ensure my system is working properly with my current phone service? Alarm.org recommends that you conduct a test on your system each month, regardless of a change in phone service to catch problems that may not be detected by the alarm system or monitoring company. Contact your monitoring company for instructions on testing your system. When looking at switching services, it’s important to shop around. Start your research at Alarm.org by finding a trusted alarm company in your area. For more information on selecting an alarm company, click here.